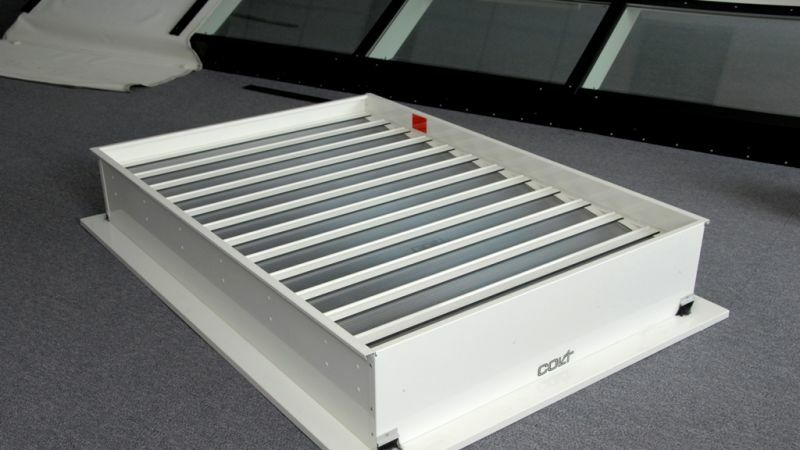 EuroCO is a natural louvred ventilator suitable for natural day to day and smoke control ventilation. EuroCO conforms to EN 12101-2 and is CE marked. 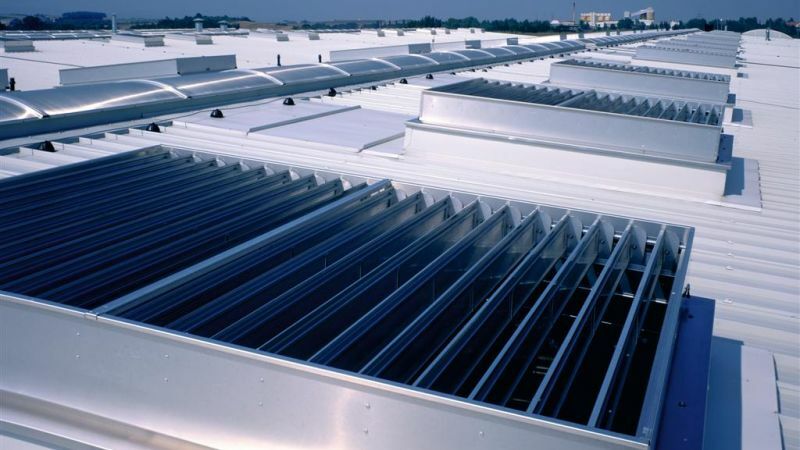 It can provide inlet or extract ventilation as well as permit the entry of natural daylight for most kinds of industrial and commercial buildings. 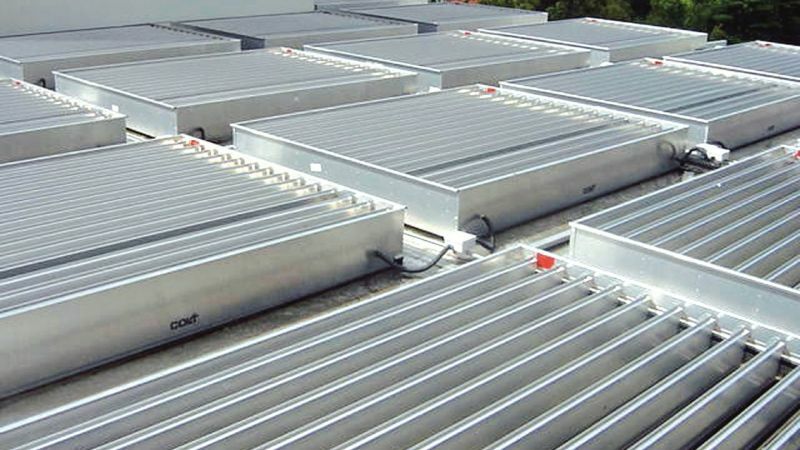 EuroCO louvred ventilators are suited to most industrial and commercial buildings and are among the most cost-effective kinds of natural ventilators. Wide range of applications- EuroCO is classed as a dual purpose ventilator, providing day to day and smoke control ventilation and fire ventilation. EuroCO can also be installed in the vertical either for low level air inlet or for high level extract. High performance - EuroCO smoke vent is aerodynamically efficient and has a high resistance to weather. Easy to install - EuroCO is delivered fully assembled to site and may be installed at any angle from the horizontal to the vertical. It has a wide range of base profiles to suit all sheeting, curb or glazing applications. Bases are customised to suit the installation into either curtain walling, glazing or prepared openings. Durable - EuroCO smoke vent is manufactured from tough, corrosion resistant aluminium alloy, grade 3005 in accordance with EN573-3, with stainless steel fixings. Louvres pivot on double nylon UV- resistant bearings. Certified performance - EuroCO has been exhaustively tested and certified to EN 12101-2: 2003 in accredited third party test laboratories and is CE marked. Quality of manufacture - EuroCO is manufactured under the ISO 9001 quality standard. Each unit is given a functional test before despatch. Design service - Colt provides a pre-order design service. Please contact Colt for more information relating to the application, specification, installation or servicing of EuroCO. Clear opening natural louvred ventilator. 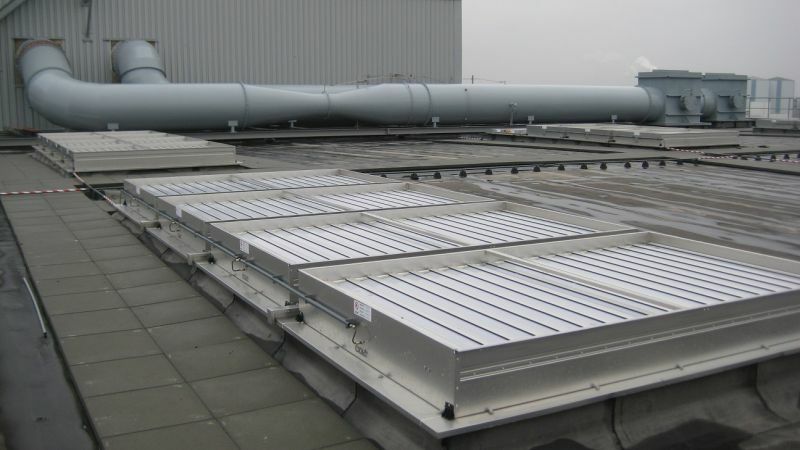 Dual purpose, for highly efficient natural ventilation and smoke control, and suited either for extraction or inlet. Tested to and in compliance with EN 12101-2. Made from tough, corrosion resistant aluminium alloy with stainless steel fixings. Rubber seals (for glass or polycarbonate louvres) to reduce air leakage when closed. For both electric and pneumatic versions, either double-action locking mechanisms, failsafe open or failsafe closed.